Vesta Teleradiology has announced it has entered into a contract with Doctors Hospital of the Bahamas to provide sub-specialty radiology services. Vesta Radiology is a pioneer in quality of care and sub specialty radiology medical innovations keeping the medical services of our clients the best in the industry. Lake Mary, FL (PRWEB) September 04, 2014 – Doctors Hospital in Nassau, Bahamas, prides itself on providing acute care services as well as latest medical technology. The hospital provides primary, specialty and sub specialty care both on an in-patient and out-patient basis for medical issues including laboratory services and the latest imaging technology. Today, the 72-bed Doctors Hospital with over 400 personnel is the highest state of the art acute care privately owned hospital facility in the Bahamas. 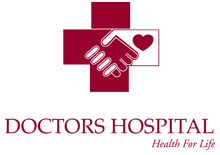 The Emergency Room at Doctors Hospital is open 24/7 in order to provide patients with the best emergency services. Doctors and nurses on the Emergency Medical Services (EMS) staff must possess Advanced Cardiac Life Support certification. The contract of Doctors Hospital with Vesta Radiology is testament to the dedication and thrust of Doctors Hospital to continue providing patients with state of the art technology and medical innovations keeping their quality of care rating the best in the islands. Board-certified radiologists at Vesta Teleradiology will be available to provide sub-specialty radiology readings for the Bahamian hospital in musculoskeletal radiology, neuro, cardiac CT, pediatric, vascular, breast imaging and general radiology. Cynthia Sawyers, Vice President of Operations at Doctors Hospital, advises that the Vesta Teleradiology contract with Doctors Hospital assures the people of the Bahamas have access to the most up to date and specialized radiology services. Vijay Vonguru, President, Vesta Teleradiology, says, “The ability to provide top innovations in subspecialty medical services to patients no matter where they are located is here and Vesta is proud to be a pioneer in bringing these services to the hospitals even in remote areas.” Along with sub-specialty and night-hawk coverage to hospitals, Vesta provides 24x7x365 radiology coverage to Imaging centers, Portable X-Ray and Ultrasound companies, specialty doctor’s offices and Urgent care centers. Please visit www.vestarad.com or send email at “sales@vestarad.com” for any further queries. Minister of Tourism Obie Wilchombe delivered his Communication on the Gaming Bill to the House of Assembly September 3. Read his presentation here. The Bahamas government through the Ministry of Finance has invited Expressions of Interest from reputable organizations with proven capacity for the development of infrastructure to undertake major work on various Family Island projects. Read the EOI here.